Cvareh returns home to his sky world of Nova with the genius crafter Arianna as his temperamental guest. The mercurial inventor possesses all the Xin family needs to turn the tides of a centuries-old power struggle, but the secrets she harbors must be earned with trust-hard to come by for Ari, especially when it comes to Dragons. 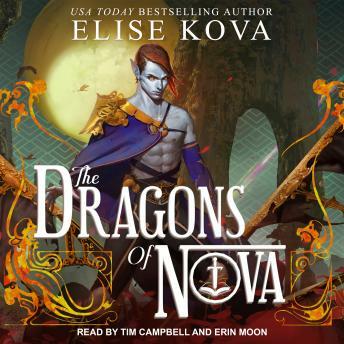 On Nova, Ari finds herself closer to exacting vengeance against the traitor who killed everything-and everyone-she once loved. But before Ari can complete her campaign of revenge, the Crimson Court exposes her shadowed past and reveals something even more dangerous sparking between her and Cvareh. While Nova is embroiled in blood sport and political games, the rebels on Loom prepare for an all-out assault on their Dragon oppressors. Florence unexpectedly finds herself at the forefront of change, as her unique blend of skills-and quick-shooting accuracy-makes her a force to be reckoned with. For the future of her world, she vows vengeance against the Dragons.